A man invites a mysterious old friend to live with his family, with tragic consequences. 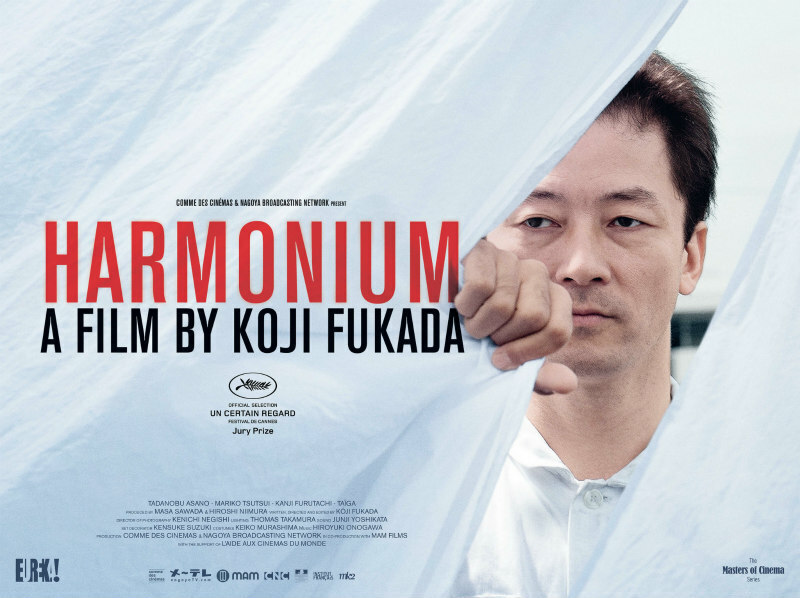 The title of Koji Fukada's latest bleak drama, Harmonium, takes on several meanings as its story evolves. Most explicitly it refers to the musical instrument that plays a key role in its narrative. It also alludes to the fragile harmony of the family at its centre, which is disrupted in tragic fashion. Later, the title begins to take on a foreboding quality, as the possibility of harmony being restored through an act of indirect vengeance becomes all too possible. Harmonium's initial set-up seems like that of the sort of humdrum thriller that might have gone straight to video in the 1990s, or straight to Netflix today. It's the classic 'initially benevolent but mysterious figure ingratiates themselves with a family, slowly revealing their motivations' narrative that we've seen in everything from Hitchcock's Shadow of a Doubt to The Hand That Rocks the Cradle, but from the opening frames it's clear Fukada intends to explore this dynamic in a far more realistic, and far more uncomfortable fashion than we're accustomed to. The family in question consists of the solemn Toshio (Kanji Furutachi), his religious wife Akie (Mariko Tsutsui) and their young daughter Hotaru (Momone Shinokawa). One day an old friend of Toshio's, Yasaka (Tadanobu Asano), arrives at their home, where Toshio sets him up with a job in his mechanical workshop, and without consulting Akie, puts him up in a room in their house. As you might expect, Akie is initially none too happy with this arrangement, but Yasaka soon curries favour with her, first by helping Hotaru with her harmonium lessons, later by exploiting her lack of emotional fulfillment, as Akie's relationship with her husband has long turned sour. In his movie's first half, Fukada lulls us into a false sense of security by focussing on the emerging relationship between Akie and Yasaka, which boasts a realism lacking from most screen explorations of affairs. The instant in which both parties first acknowledge their mutual attraction results not in a cliched moment of physical passion, but with Akie and Yasaka clinging to each other in a tender embrace, two people desperate for a simple human connection. It's a moment that wouldn't feel out of place in a Fassbinder drama, or one from Fukada's compatriot, the great Hirokazu Koreeda. It's at its midway point that Harmonium takes a dark turn with one of the most intensely upsetting and disturbing sequences any filmmaker could subject their audience to. Some viewers may be so upset they might be unwilling to engage with the remainder of the film, but if you have the emotional fortitude to carry on, you're in for an experience that's uniquely rewarding in its exploration of the potential for cruelty that lurks beneath the veneer of the modern civilised human. As a study of grief and how we handle it, Harmonium is a worthy companion to Nanni Moretti's The Son's Room and Todd Field's In the Bedroom, and Tsutsui's portrayal of a mother broken of both heart and spirit will tear your soul out. Fukada's film is one you'll find yourself haunted by for a considerable time after viewing, as it refuses to wrap itself up neatly. 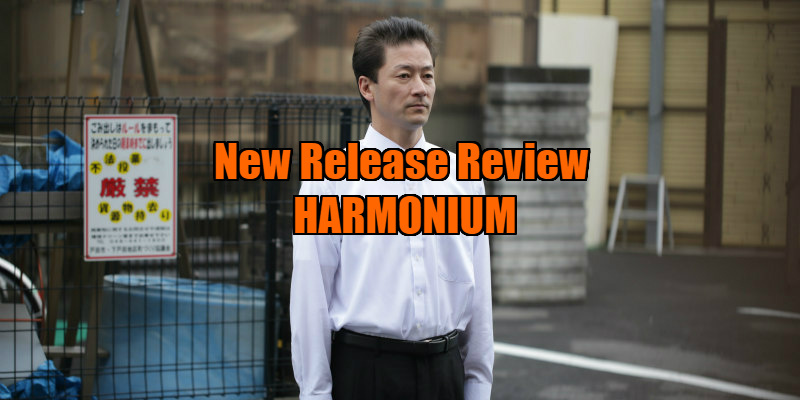 Like its distraught protagonists, Harmonium cruelly leaves us seeking emotional closure. Harmonium is in UK/ROI cinemas May 5th.